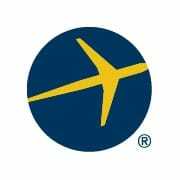 BELLEVUE, Wash., Dec. 10, 2015 – Expedia, Inc. (NASDAQ: EXPE), in partnership with the Airlines Reporting Corporation (ARC), today released the second annual report, Preparing for Takeoff: Air travel outlook for 2016, which analyzes global air travel data. Highlighting key trends for both consumers and air industry professionals, this report represents Expedia’s analysis of data powered by ARC as well as data from other credible industry sources. Between October 2014 and October 2015, global air ticket prices declined on average about 8 percent versus the prior year. According to ARC data, the price of travel within Europe declined the most in that timeframe, making these routes among the best potential bargains for 2016. It is difficult to predict the best day of week to find the lowest ticket prices because airlines constantly are adjusting prices. In general, the weekend has become a likely time to achieve savings though the rule of thumb still stands: if there is a good airfare available within the traveler’s budget, buy it. Fare changes in a previous year are often good indicators for the year to come and based on 2015 analysis, 2016 is expected to be another good year for travelers to save money as they take to the skies. Globally, with prices adjusted for exchange rates, Expedia’s analysis of ARC data found that economy air ticket prices declined roughly 8 percent year-over-year between October 2014 and October 2015, with the biggest drops in July and August of 2015. Intra-Europe flights declined the most, indicating that 2015 was a great year for air travelers in general and even better for those visiting Europe and booking flights between European countries. For North American travelers, Expedia’s analysis of ARC data found more modest price drops for economy travel in North America – with an average decline of 5 percent on intra-North America flights during the first 10 months of 2015. Given these figures and further analysis, this trend is expected to continue for the first few months of 2016. Another way travelers can save money is to book air at the same time as hotel and rental car in a package. This process, known as “bundling” delivers discounts across the board: Expedia data for the first nine months of 2015 shows customers saved an average of $226 based on actual bookings, but easily can expect to find deals that can save them up to $568 across different destinations. That number is even higher in resort destinations such as Mexico, Hawaii, and the Caribbean where Expedia data indicates savings can be in the range of $800-$1,100. For European travelers, the best time to buy an economy ticket for another destination within Europe is 140 days in advance as the average fare booked at more than 140 days was $156.41 compared to an average fare of $175.69 for fares booked between zero and 180 days in advance. When to Purchase Airline Tickets – Is Tuesday Still the Best? While advance purchase is a key aspect for determining when travelers should buy a ticket, it is not the only factor to consider. For years, travelers and industry experts have wondered which day yields the best savings. In previous reports, Expedia® and ARC have suggested that Tuesday is the best day, by a small margin. Looking at 2016 and based upon 2015 data, Expedia and ARC found that on average, weekends provide an opportunity to find great deals, with Tuesday still close behind. There are general caveats to consider when searching for the best flight deals. For example, most analyses will show low air ticket prices on weekend days because these are the days on which most leisure travelers purchase tickets. Business travel, on the other hand, is most often purchased during the week and has a higher air ticket price on average. Given this information, and accounting for a rapidly changing market for airline fares, Expedia and ARC advise that travelers who find a fare that looks like a great deal to purchase it, regardless of the day of week. Download a complimentary copy of Preparing for Takeoff: Air travel outlook for 2016 at the Expedia Viewfinder™ Travel Blog. The data includes ARC processed US transactions from US and BSP processed international transactions. The international transactions are converted to US dollars based on the exchange rate on the date of the transaction. This implies that the impact of the exchange rate fluctuation is included in the year-on-year variances. The average economy ticket price for travel between regions will be calculated for round-trip itineraries for all tickets issued for the 12-month period between November 2014 and October 2015. The company delivers consumers value in leisure and business travel, drives incremental demand and direct bookings to travel suppliers and provides advertisers the opportunity to reach a highly valuable audience of in-market consumers through Expedia® Media Solutions. Expedia also powers bookings for thousands of affiliates, including some of the world’s leading airlines, top consumer brands and high traffic websites through Expedia® Affiliate Network. For corporate and industry news and views, visit us at www.expediainc.com or follow us on Twitter @expediainc. ARC powers the U.S.-based travel industry with premier business solutions, travel agency accreditation services, process and financial management tools, and powerful data analytics. In 2014, ARC settled $89.6 billion worth of carrier ticket transactions for more than 9,400 travel agencies with 13,000 points of sale. By providing world-class business services and products, ARC enables participating agencies and 200 carriers to focus on what&apos;s important—increasing their revenue. Established in 1984, ARC is headquartered in Arlington, Virginia. For more information, please visit www.arccorp.com.